Another year has almost gone by... December starts today, and Christmas is everywhere! Some of us make plans for Christmas Eve, while others start a last minute DIY Advent Calendar (I personally love them), and get the Christmas tree decorations out of the attic. But what's really on everyone's mind is, of course, the presents! 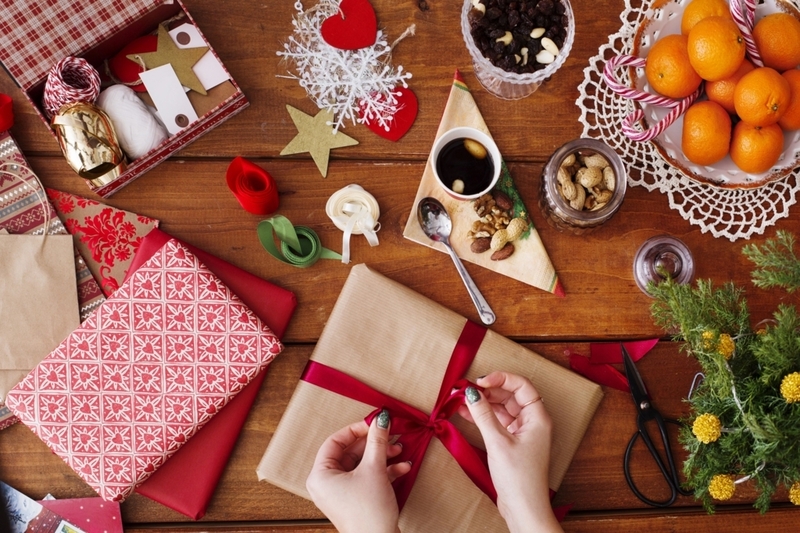 If you are organized, you might even have already finished your Christmas shopping. But if, like me, you tend to push certain (most) things to the last minute...chances are, you still have no idea what to get your loved ones. No worries, here are a few tips to help you make everyone happy! I know, it sounds obvious, BUT. Remember this ugly Christmas sweater you thought was hilarious AND would suit your great aunt? Well, now you know why she doesn't smile on the Christmas pictures. It could be a gadget they have been talking about, or a pair of shoes they are waiting to go on sale to buy...be attentive! However, you might want to avoid getting them something that is related to their hobby, for two main reasons: (1) that is something they already enjoy spending money on, and (2) everyone has the same idea! For someone close to you, it could be a good idea to gift something that you like. Now be careful, the idea is not to give your best friend a beautiful dress/shirt that you plan on borrowing later! But maybe there is an object that has a particular meaning to you, whether it is because it reminds you of your relation with them, or simply because it moves you. A painting, a piece of music, or your favourite book; let them discover something that they don't know about you, and give yourselves a chance to get closer to each other. Rather than giving them something material, give your loved ones an experience that they always wanted to try, but maybe never dared to. Do they enjoy cooking? Get them a cooking lesson with a big chef! The same goes with language or music classes, or any other craft. Take this opportunity to share with them something that they love, and maybe get to understand them a little better. It's more original, it shows how much you care, and they will love it! Now tell us about you: what is on you Wish List this year?